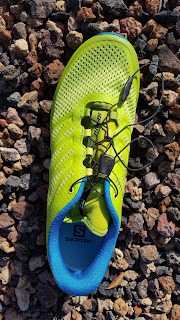 I got the Sense Pro Max shoes to test out and was really excited because it is Salomon’s most cushioned trail shoe to date, which I need for my 50k training. What I have to say is that from my first run, I loved these shoes. The upper material is made from Sensifit™ which provides a precise fit and an Ortholite® sockliner. One unique feature of the Sense Pro Max is the anti-vibration technology in the 17mm of Energy Cell+ foam so your joints take a little less beating with each foot strike. You can also have faith that you won’t slip thanks to the Contragrip™ outsole that grips, even in really wet conditions. The lugs really dig into mud and wet grass. 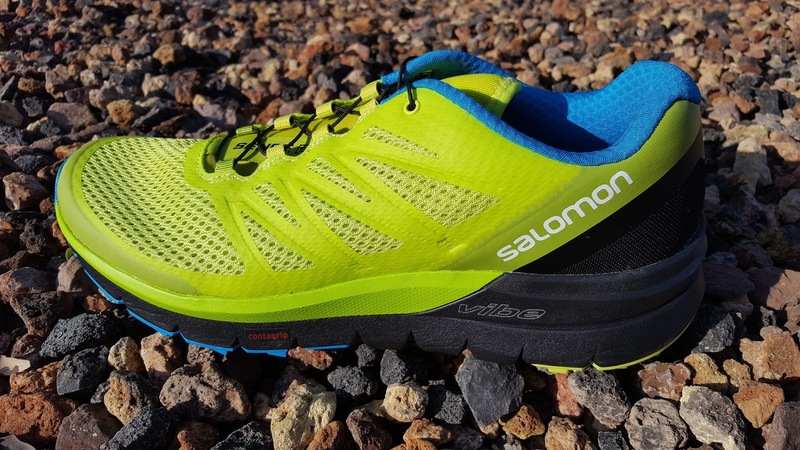 I have reviewed three different shoes from Salomon over the past few years and they all have the signature quick lace system, which I have a love hate relationship with. I love the how easy they are to tighten, but on some shoes, they can pinch the top of my foot. 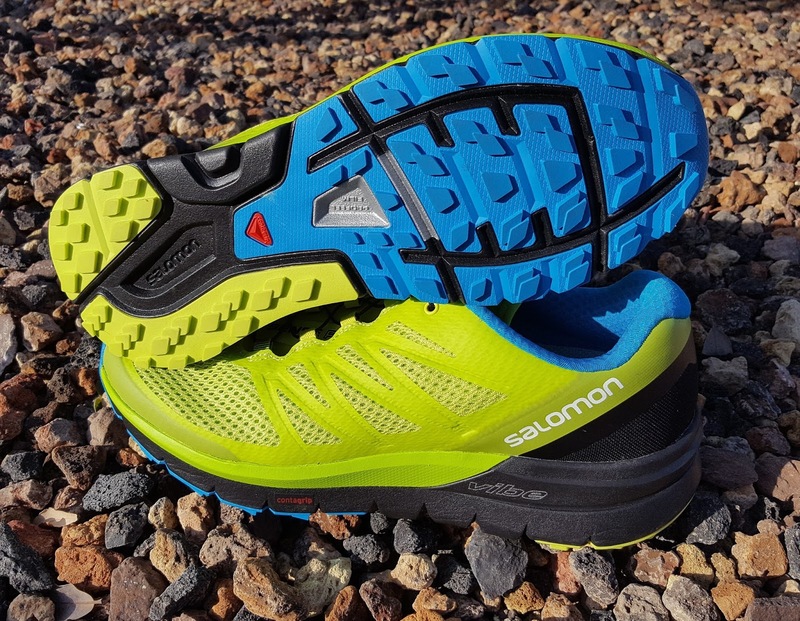 With that being said I know several people who run in Salomon shoes and none of them have had any issues with the quick laces. It is most likely an issue with my feet, not the lacing system. I had no issues with the quick laces on the Sense Pro Max though and there is even a lace pocket on the tongue to store the laces (some of the other Salomon shoes have them as well). What a great feature. The Sense Pro Max has a 6mm heel drop and weighs in at 10.2 ounces. There is extra protection from a rubber toe cap and the amount of cushion shields you from the jagged rocks. This is my favorite Salomon shoe to date. I took the Sense Pro Max out on some really wet and muddy runs as well as dry dusty trails and even a few jagged technical single tracks. These shoes never let me down. 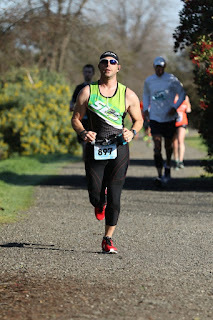 I always felt confident in the grip and my feet were happy mile after mile. Anti-Vibration midsole helps take some of the impact. 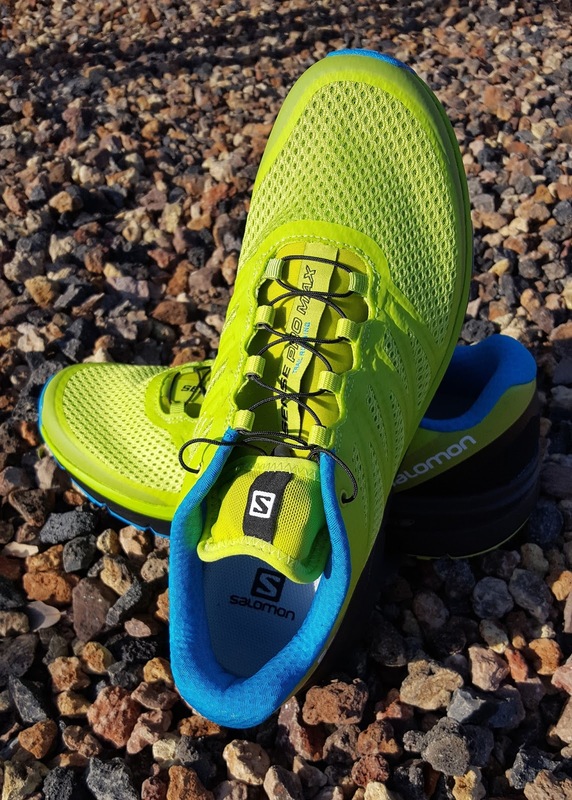 You can pick up the Sense Pro Max for $150 at the Salomon website, at a retailer near you (click here for locations) or other online retailers although they are all about the same price. If you purchase from the Salomon website, you get free shipping. 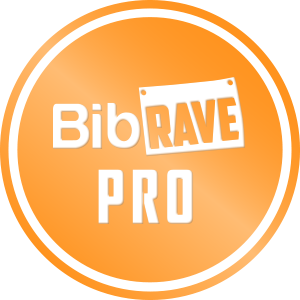 You also have 30 days where you can return the gear it you are not completely satisfied with it, although it cannot be used or washed and must still have the tags on it. Perfect for sizing issues though. Solomon also offers a 2 year warranty on its running products that covers manufacture defects and defects in materials. I can’t say enough about the Sense Pro Max and hope they model their future trail shoes on this model. Let me know what you think.